Card #1 uses Calypso Coral and Whisper White cardstock along with Calypso Coral, Pear Pizzaz and So Saffron inks sponged between 2 pieces of torn copy paper masks. 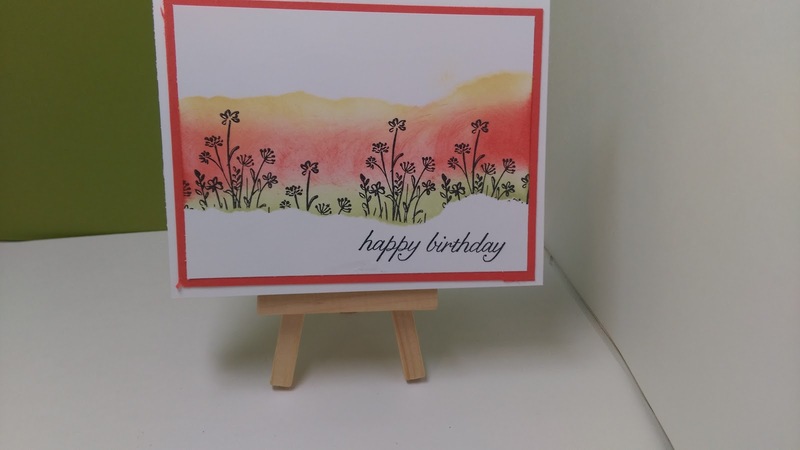 The stamped image is from the Into the Meadow stamp set found in the Occassions Spring catalog using the Basic Black Archival ink. Card #2 uses Chocolate Chip, Crumb Cake and Very Vanilla cardstocks with Crumb Cake ink sponged on using a torn piece of copy paper as a mask and stamping the sentiment and flowers from the Birthday Blossoms stamp set. 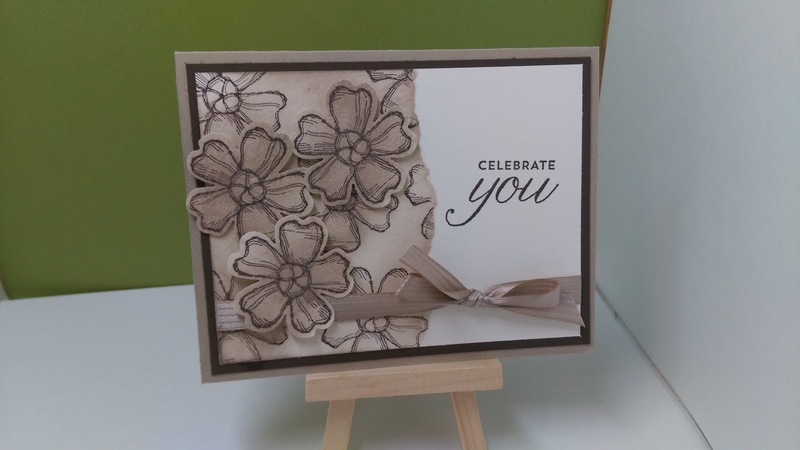 I also stamped and sponged 3 additional flowers and punched them out using the coordinating Pansy Punch and added them to the card using Stampin' Dimensionals. I added the Crumb Cake satin stitched ribbon. So, what do you think? Leave a comment below and let me know what your thoughts are on this technique. Give it a try, pull out some inks, sponges and copy paper and see what you come up with.